TunesKit studio, the well-known DRM removal solution provider in the world, officially upgraded three featured DRM removing tools for Mac, including DRM M4V Converter, DRM Audiobook Converter and Apple Music Converter by fixing the iTunes 12.6 incompatibility issue on OSX 10.11 or macOS 10.12. 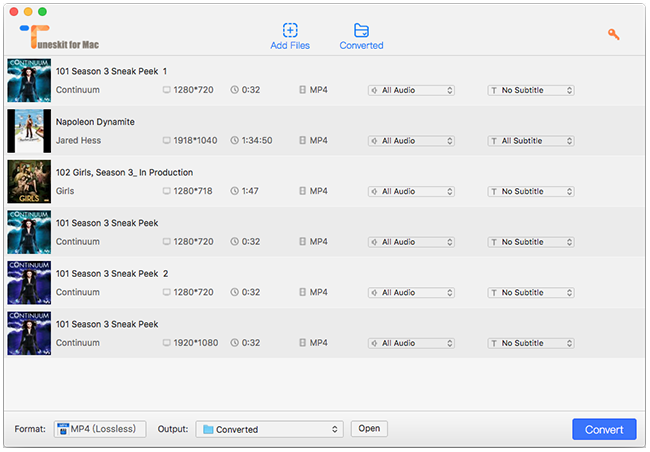 TunesKit released the major updates of its DRM M4V Converter, Apple Music Converter and Audiobook Converter to perfectly support iTunes 12.6 on Mac. Now with these new releases, all TunesKit Mac users running iTunes 12.6 could easily remove DRM protection from iTunes movies, TV shows, audiobooks, and Apple Music songs as straightforward as before, without turning off SIP or making other extra settings any more. Prior to this latest update, these Mac products provided temporary solution that would require users of OSX EI Capitan or Sierra disable SIP settings in order to run the DRM media converters successfully under iTunes 12.6. But as one of the top leaders in developing DRM removal solutions worldwide who always goes ahead of the queue, TunesKit Software has been seeking for the permanent and perfect solution to this issue ever since. Due to advanced technique and persistent testing, TunesKit R&D team completely fixed the iTunes 12.6 conversion failure, making it the first one to perfectly support iTunes 12.6 on Mac, while other competitive products still asking users doing complicated procedure in advance in order to run the DRM media converters under iTunes 12.6. "Except the perfect support to iTunes 12.6, these three DRM removers also introduced other updates, such as performance optimization, including the improved conversion speed, conversion stability, etc. Till now, all TunesKit Mac products, including DRM M4V Converter for Mac, Apple Music Converter for Mac, DRM Audiobook Converter for Mac, Audible Converter for Mac, as well as iBook Copy for Mac are fully compatible with macOS 10.12, OS X 10.11, 10.10, 10.9, 10.8 and the latest iTunes 12.6." said Andres, the TunesKit marketing manager. "If you are Windows users, you should also be well noted that all TunesKit DRM removal products for PC work perfectly with iTunes 12.6 even a while ago." DRM Media Converter for Mac (http://www.tuneskit.com/tuneskit-for-mac.html) – It’s an all-in-one iTunes DRM removing solution to losslessly remove FairPlay DRM from iTunes movies and TV shows by converting the M4V videos to lossless MP4, M4V or other common video and audio formats for any popular device. You can download the latest version from: http://www.tuneskit.com/TunesKitforMac.dmg. 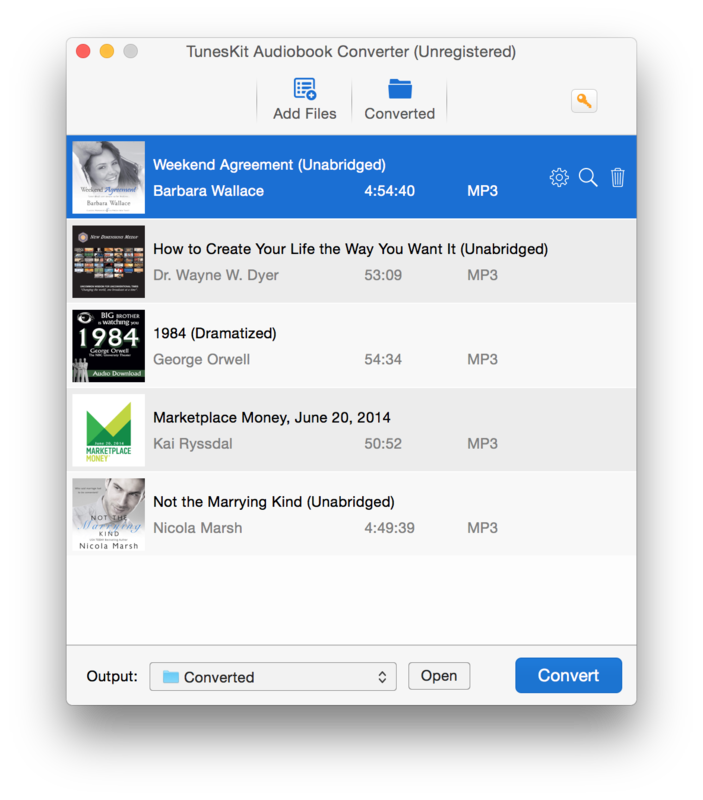 DRM Audiobook Converter for Mac (http://www.tuneskit.com/mac-audiobook-converter.html) – A powerful DRM audiobook converter to convert both iTunes and Audible audiobooks from AA, AAX, M4A, M4B to DRM-free MP3, AAC, M4A, WAV, FLAC with chapters and ID tags kept. You can download the latest version from: http://www.tuneskit.com/download/AudiobookConvertforMac.dmg. 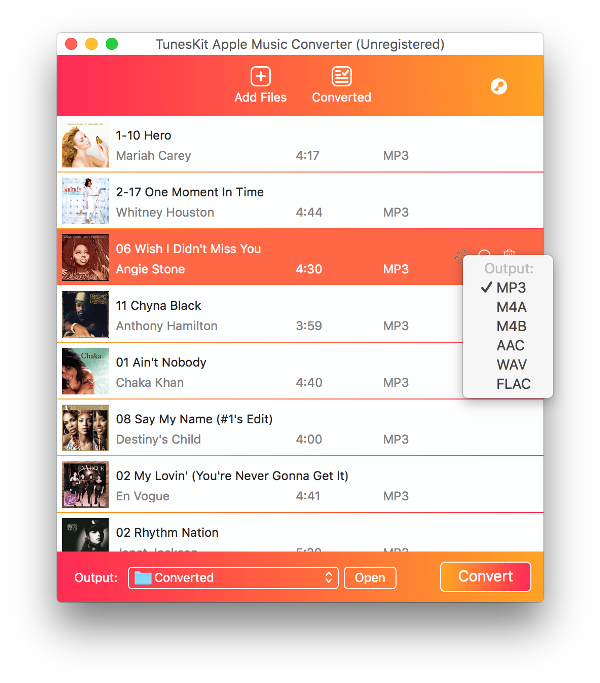 Apple Music Converter for Mac (http://www.tuneskit.com/apple-music-converter-for-mac.html) – Smart DRM removal tool to convert offline Apple Music streams from M4P to AAC, M4A, MP3, WAV, FLAC, etc. so that subscribers could keep the songs even after unsubscribing. You can download the latest version from: http://www.tuneskit.com/download/AppleMusicConverter.dmg.